Oh, I do love what those folks at Wemyss Malts do. Their single cask bottlings are exceptional and their core range of blends is excellent. So what about a cask strength line up of those core range blends? Ooooh, do tell me more. I was lucky enough to be on the tasting last year where they introduced the standard editions. It’s going to be fun tasting them at full cask strength! 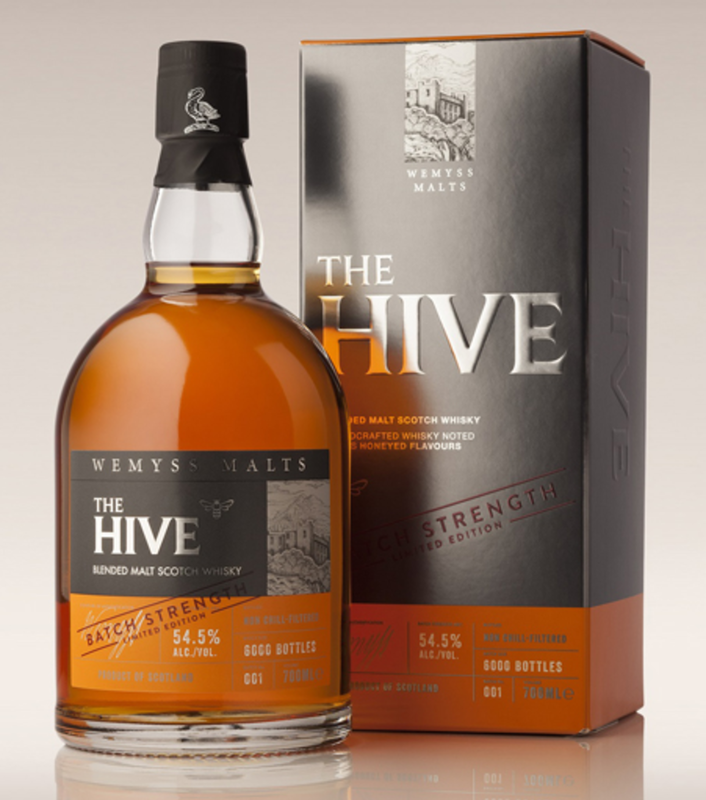 In to start with is the cask strength counterpart to Wemyss’ “The Hive” blend, a sweet honeyed dram that’ll have all the Highland malt fans sitting up and paying attention. Nose: Surprisingly…honey! That light, runny supermarket stuff. Boiled toffee sweets. Menthol. Throat sweets. A whiff of the coast with wax jacket, salty air, and chalky cliffs. There’s an orangey, beery thing happening. Like a pint of Blue Moon with a slice of orange in it. Very three dimensional. Palate: Sweet, exuberant, and spicy. Honeycomb, yellow sultanas, menthol, and sweet fizzing oak. Orange pith. Waxy and luscious on the tongue. Finish: Easter egg chocolate, more runny honey and a tingly black pepper numbness. It’s young and kicking this one. Lots of fun to drink and with bags more going on than it’s bottle strength counterpart. 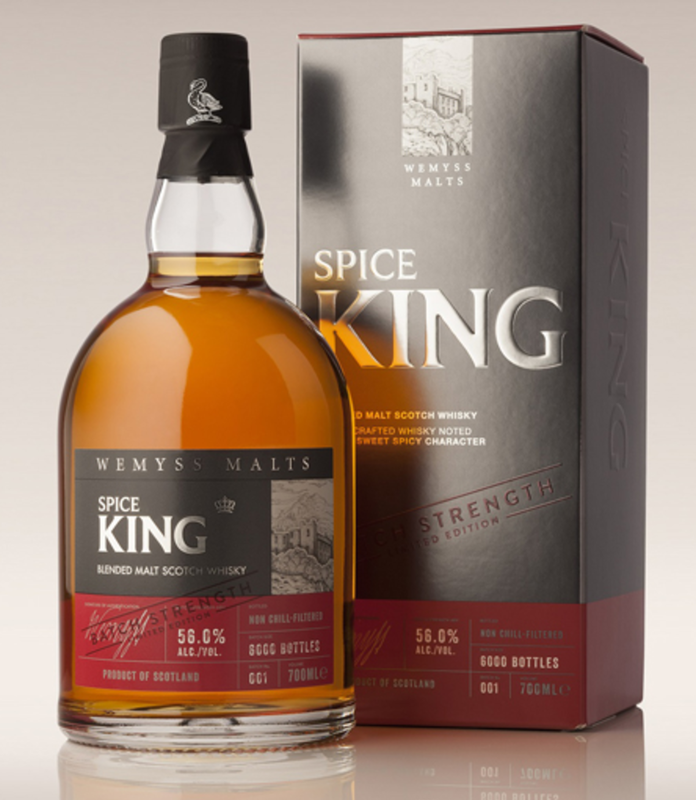 Up next is the Spice King, a very popular blend since its release a few years ago. So how is the full cask strength edition compared with the standard release? Nose: Meaty with a sweet edge. A strong, peppery, smoky quality, too. Salt and pepper pork ribs. Dark, sticky prunes. Chargrilled pineapple. Salted caramel cake served with roast potatoes (weird, yes, but good weird). Wow. Palate: Toffee apples with sweet cinnamon. Warm vanilla syrup. Cigar tobacco, mellow oak, smooth caramel. Not as spicy as the name would lead you to think! Finish: Warm, long, and comforting. Rice pudding with nutmeg. Faint oak. This is a lovely, complex, rich whisky that warms the cockles of your heart. 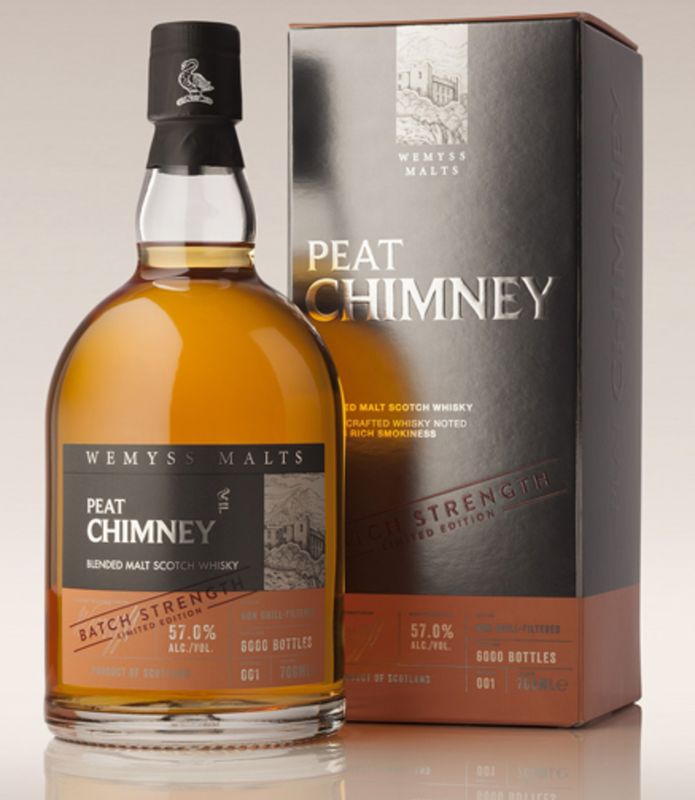 The final dram is the heavily peated “Peat Chimney” blend – an Islay blend special with a ton of beautiful smoky notes to enjoy. Nose: Cured gammon over a pine log fire. Smoky and sweet. Roasted sweetcorn. Black coffee with cloves and treacle. A touch of o-zone with muddy boots and dry stone walls. Palate: Boom! There’s the peat. Burnt lemons, followed by caramelised seaweed coated in hot butter. A mug of Ovaltine. Wafts of dry, hot smoke revealing sweet plum flesh and chilli peppers. Finish: Very tingly, almost chewy peat. Cashew nuts and sweet peppers. Oh yes. This is a rush. Loads of peat but balanced so well by a host of complementary flavours. I really do like this. 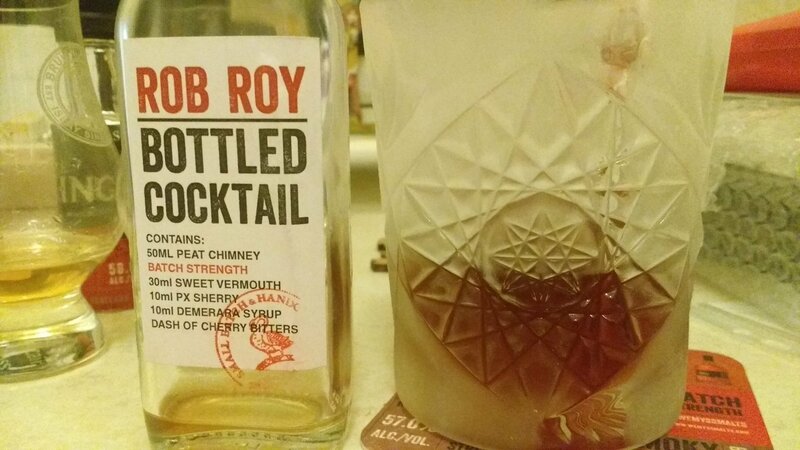 And finally… Wemyss have treated us Tweet Tasters to a pre-mixed cocktail: A Rob Roy made using the heavily peated Peat Chimney blend. In a nutshell: Sweet smoky cherries. The smoke really balances the sweetness and the cherry bitters and PX give it a rounded texture and complexity. Very compelling indeed. I’m not usually a cocktail drinker but this is very pleasant… Bravo! As ever, many thanks to Steve Rush at The Whisky Wire for organising and thank you to Wemyss Malts for letting us taste your lovely blends. All the blends are available to buy from Wemyss’ directly.